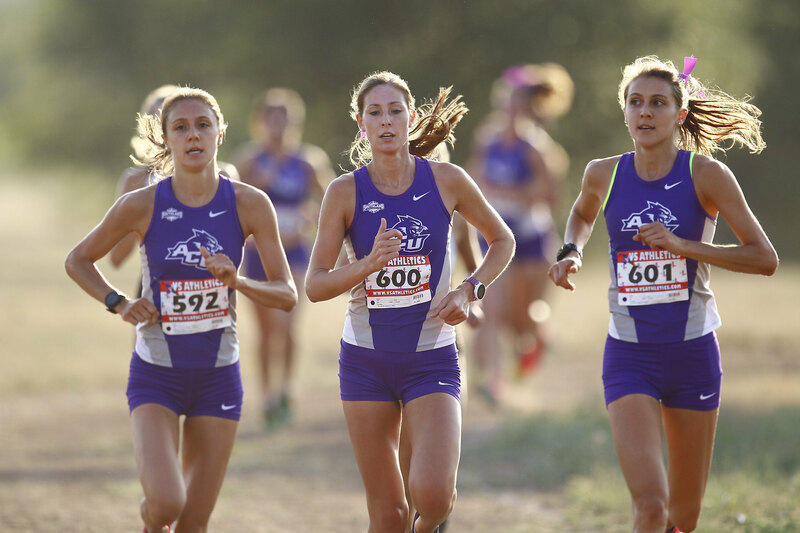 The Abilene Christian women’s cross country team had four finishers in the top-five Saturday morning at the Naimadu Classic, while senior Ryan Clearly led the men’s team with a sixth-place showing. Alexandria and Michaela Hackett established a clear lead heading into the third lap of the Casi Florida 6K. Allie then separated herself from her twin sister to finish with a first-place time of 21:15.32, and Michaela came across in 21:24.25. Allie’s victory was the fourth of her cross country career, and 21st since the start of her sophomore 2015 indoor season. Sophomore Carnley Graham cruised through the 6K course finishing in third with a time of 22:08, and redshirt senior Diana Garcia Munoz rounded out the top-five finishing behind five seconds behind Stephen F. Austin’s Brittany Innis. Garcia Munoz crossed the finish line in 22:23.05 in her first race of the season. The Wildcats Briahna Gerlach (23:15.19) rounded out the scoring five for ACU finishing in 11th place. On the men’s side, senior Ryan Clearly finished first for the Wildcats for the second meet covering the 8k course in 26:16.9. Incarnate Word’s Deion Hardy (25:27.8) finished first, followed closely by SFA’s Erick Rotich (25:29.64). ACU’s additional scoring runners included Drew Cummings (26:39.02) who finished 12th overall, followed by teammate John Baker (26:45.99) who completed the race in 13th. Freshmen Conner Miller and Seth Crockett rounded out the scoring five for the Wildcats. Miller covered the four-lap course in 27:09.07, and classmate Crockett finished with a time of 28:02.27. The Wildcats women’s team finished with 22 points to SFA’s 46 and the Cardinals finished with 58 team points. Incarnate Word finished in first for the men with 28 team points, the Lumberjacks finished second with 35 and ACU recorded a third-place total of 67 points. Saturday September 23 the women’s cross country team heads to Minnesota for the Roy Griak Cross Country Invitational. The Wildcat men with continue training until October 14 for the NCAA Division I Pre-Nationals.